Tiger snake. Image Courtesy Steward Macdonald. Being bitten by an Australian tiger snake is a wholly unpleasant experience. Within minutes, you start to feel pain in your neck and lower extremities—symptoms that are soon followed by tingling sensations, numbness, and profuse sweating. Breathing starts to become difficult, paralysis sets in, and if left untreated, you’ll probably die. Remarkably, the venom responsible for these horrifying symptoms has remained the same for 10 million years—the result of a fortuitous mutation that makes it practically impossible for evolution to find a counter-solution. Typically, predator/prey relationships instigate evolutionary arms races in which rival species continually adapt to each other’s tactics over time. Classic examples of these adaptations and counter-adaptations include increasing speed among cheetahs and Thomson’s gazelles, hypersonic hearing among bats and moths (where moths have learned to evade echolocating bats), and any number of animals—both predators and prey—who have had to evolve an immunity to various venoms and poisons. But as an intriguing new study published in Comparative Biochemistry and Physiology Part C: Toxicology & Pharmacology points out that evolution has had to throw in the towel in its efforts to counter the deadly effects of tiger snake venom. New research conducted by Associate Professor Bryan Fry from the University of Queensland School of Biological Sciences shows that tiger snake venom hasn’t changed in over 10 million years, and that’s because it hasn’t had to. Surprisingly, however, this discovery could have a medical benefit for humans. But as Charles Darwin pointed out over 150 years ago, evolution tends to thrive on variability, where only the “fittest” survive. In the case of prothrombin, however, any variability (i.e. a genetic tweak arising from random mutation) simply won’t work; the protein must stay exactly as it is, or the clotting cascade breaks down. That’s why prothrombin exists across so many species (i.e. it’s a trait that’s conserved by evolution)—and why no species has been able to evolve a natural immune response to the tiger snake’s poison. For the study, Fry analyzed the venom of 16 tiger snake populations across all of Australia. It’s the most comprehensive analysis ever conducted of this family of snakes, and it’s overturned a longstanding assumption about venom evolution. The stubbornness of this venom to resist evolutionary change, however, may be of benefit to humans. 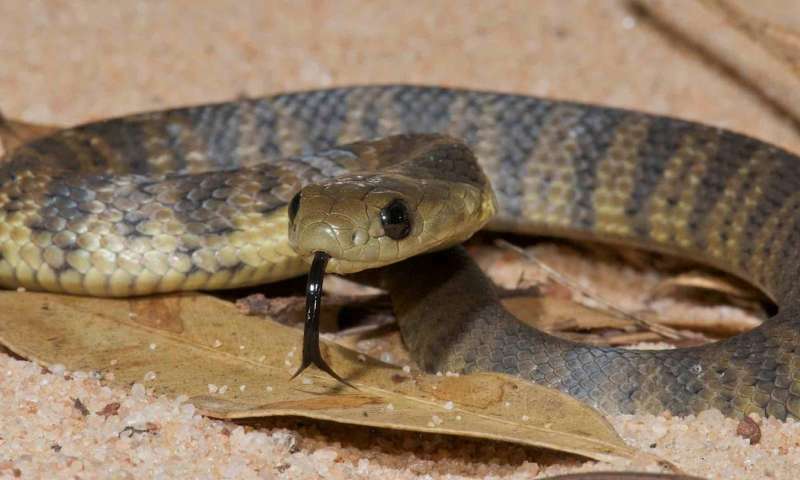 This discovery explains why tiger snake antivenom is so useful in treatments against bites from other Australian snakes which affect blood in the same way. Tiger snake antivenom has an extraordinary level of “cross reactivity” against other snake species, meaning it can neutralize the lethal effects of venomous bites in many other cases. “No other antivenom in the world is so spectacularly effective against such a wide range of snakes this way and now we know why,” explained Fry.